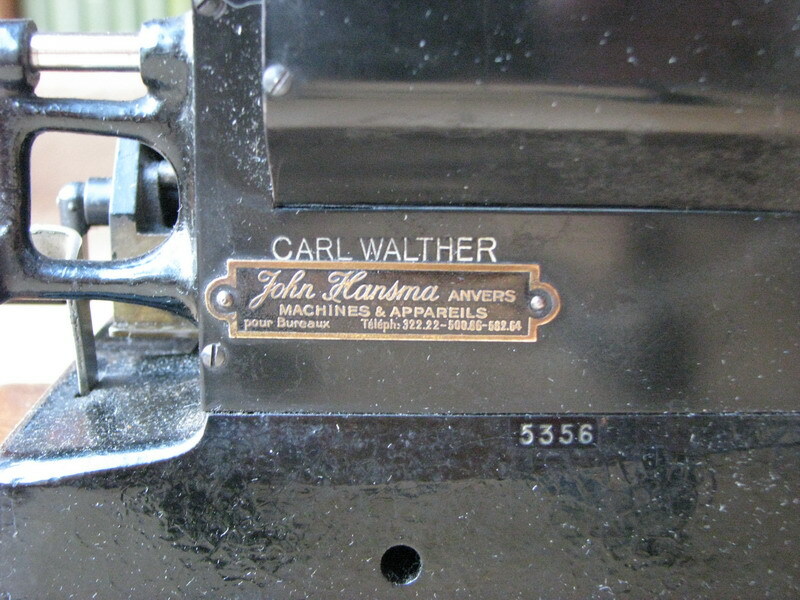 An early version of the Walther RMK (R= Rechenmaschine (? 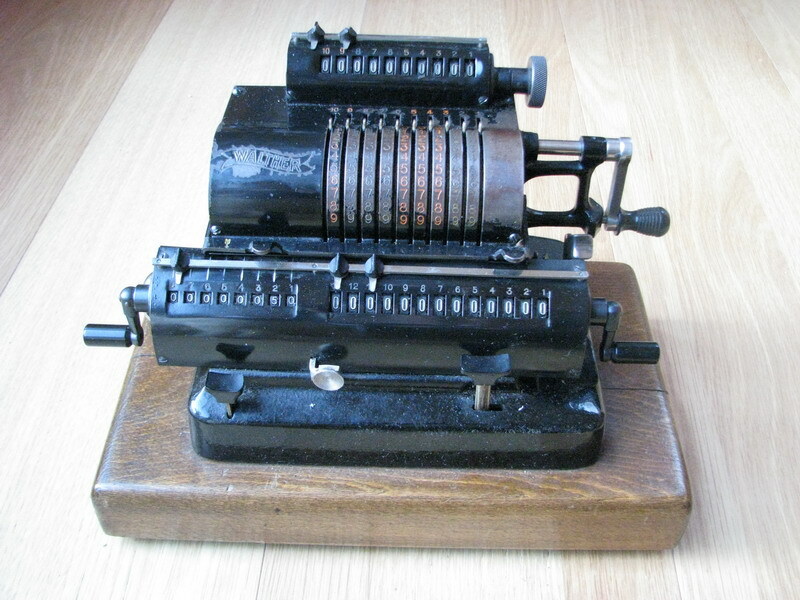 ), K = input control register, M = 13 digit capacity), serial nr. 5356. It still has the frog-like input control register sitting on top of the calculator, later models have it sunk a lot lower into the top plate. This calculator was picked up for a song at a house clearance sale. 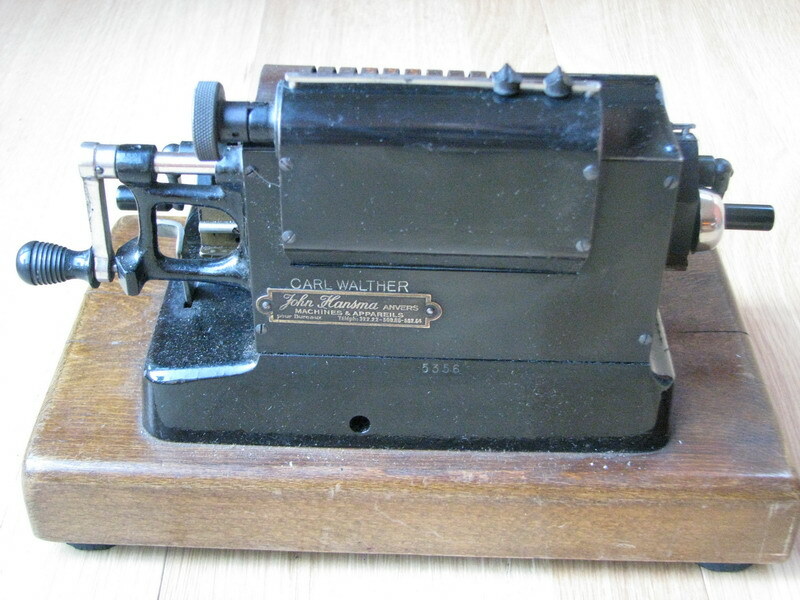 It was originally bought in Antwerp, at an office machine shop I have never heard of before. 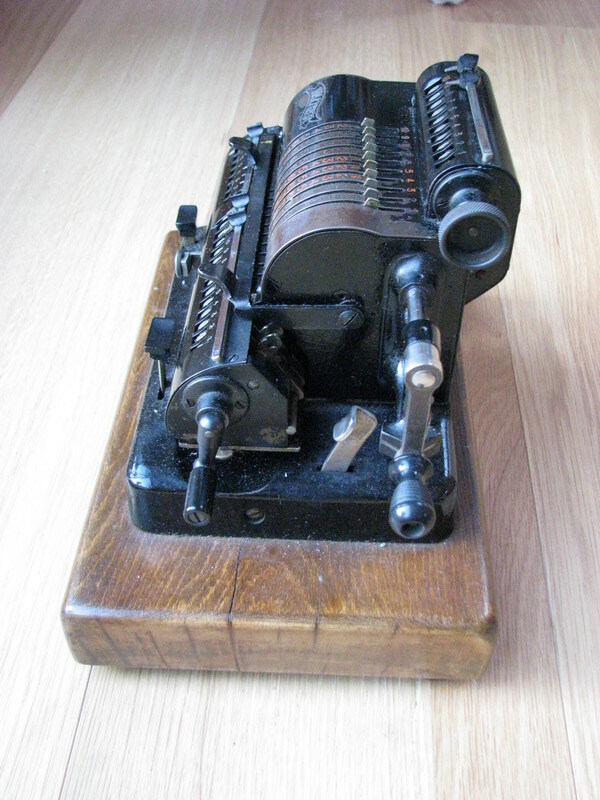 The only other hit on the whole internet is a Continental typewriter which was also sold by John Hansma. No address for the shop can be found, which is a real shame. The machine has an interesting sprung carriage shift mechanism. The carriage can be shifted left or right with the two buttons on the front of it, and is spring-loaded to shift to the left with the button next to the crank, making one-hand operation possible if too much faffing about with the carriage was not part of your technique. 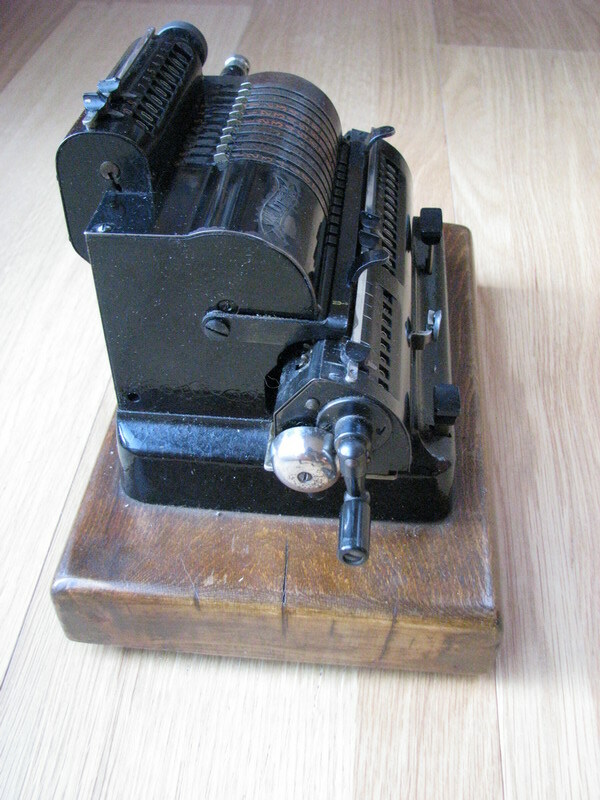 Later machines had two buttons next to the crank for one-hand operation, and none on the front. It seems to have been quickly replaced by the RMZ and RMKZ, which had tens' carry in the counter register.